After the Tri-State board voted to keep a 5 percent cap on renewable energy, the La Plata Electric Association staff plans work with other members of Tri-State in hopes of changing the policy in two years when the board takes up the issue again. La Plata Electric Association’s ability to purchase renewable energy will be limited for at least the next two years following a vote last week by Tri-State, the co-op’s wholesale electricity provider. Tri-State relies in large part on coal generation, and some residents want to see LPEA purchase more renewable energy because it is steadily declining in price and would support the local economy. Supporting green energy became a major issue leading up to LPEA’s board of director’s election in April. As a result of the Tri-State vote, LPEA staff plan to spend the next two years building support for green power among the other co-op members of Tri-State, said CEO Mike Dreyspring. “We can’t get this done without having dialogue with the other members,” Dreyspring said last week. 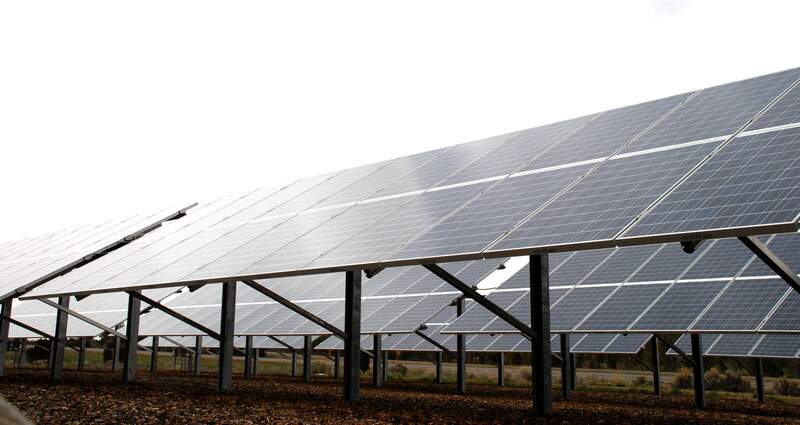 Tri-State allows its members, including LPEA, to buy 5 percent of their electricity from renewable sources, such as solar gardens and wind farms, at rates put in place to encourage renewable development. LPEA is close to reaching its 5 percent cap on renewable energy. The LPEA board of directors voted in April to negotiate with Tri-State to increase the 5 percent cap to 10 percent. Raising the cap did not gain traction with a Tri-State committee tasked with reviewing the request or with the Tri-State board. “The board’s acceptance of the contract committee’s recommendation doesn’t preclude the association’s continuing discussions with its members on self-generation,” said Lee Boughey, a spokesman for Tri-State. Increasing the cap on renewable energy was met with resistance from other member co-ops that worry they would have to subsidize members that pursue renewable energy. One way to understand co-ops’ concern is to think about a homeowner producing renewable energy, said Ron Meier, LPEA’s manager of engineering and member relations. If someone installs solar panels on their house and generates all their own electricity, they are not paying into LPEA’s system. But LPEA still has to be ready to provide electricity to that house and cover the cost of that infrastructure. The customer with solar panels doesn’t pay for infrastructure costs, and other members subsidize those costs, Meier said. Co-ops are in a similar situation on a larger scale. However, the rates that govern the energy that LPEA and other co-ops are able to purchase under the 5 percent cap are not meant to provide subsidies, Dreyspring said. “I’ve got to show that there aren’t any subsidizes, or if I do show that there are subsidizes, how to eliminate that,” he said. Dreyspring plans to research the rates to inform his conversations with other members of Tri-State. While the 5 percent cap remains, LPEA can contract with renewable energy providers, even if the power generation took the co-op over the limit, under certain circumstances. Tri-State could contract with a facility planning to produce at least 25 kilowatts and filed to be a qualifying facility with the Federal Energy Regulatory Commission, Dreyspring said. LPEA could also contract with a renewable energy developer that agreed to negotiate rates with the co-op, but the project would not see the benefits of rates put in place to encourage renewable development, he said.